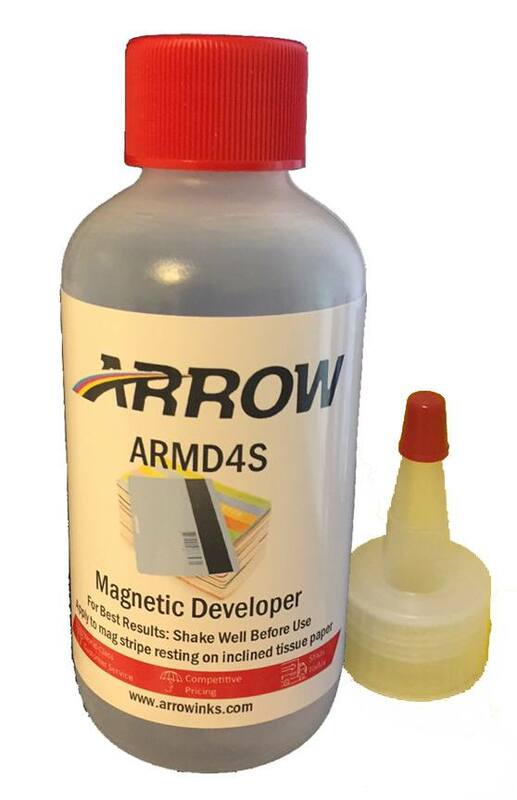 Magnetic Developer is Used to Ensure Proper Mechanical Placement and Encoding on the Magnetic Card Stripe or Tape. When performing magnetic encoding the encoding head alignment (write head) as far as Track placement on the stripe, is critical. If the encoding is out of placement it will affect the read back of the POS (Point of Sale) systems in the field. So QA tests are performed every hour at many card manufacturers facilities to ensure signal amplitude, bit space, and jitter are within ISO specifications. Amplitude is essentially the signal strength. The stronger the signal encoded the easier it is for the magnetic reader to amplify that signal and decode the message. Jitter Bit-to-bit jitter is a change in bit length from one bit to the next on a magnetic stripe. Ideal cards would have no jitter, but real cards do! Cards with high jitter are generally unreadable, because the decoder electronics in the card reader cannot tell a binary “1” bit from a “0” bit. Precision jitter test cards are ideal for testing readers and encoders. They are also good as standards of comparison when checked against production samples. Magnetic stripes come in two main varieties: high-coercivity (HiCo) at 4000 Oe and low-coercivity (LoCo) at 300 Oe, but it is not infrequent to have intermediate values at 2750 Oe. High-coercivity magnetic stripes require higher amount of magnetic energy to encode, and therefore are harder to erase. HiCo stripes are appropriate for cards that are frequently used, such as a credit card. Other card uses include time and attendance tracking, access control, library cards, employee ID cards and gift cards. Low-coercivity magstripes require a lower amount of magnetic energy to record, and hence the card writers are much cheaper than machines which are capable of recording high-coercivity magstripes. However, LoCo cards are much easier to erase and have a shorter lifespan. Typical LoCo applications include hotel room keys, time and attendance tracking, bus/transit tickets and season passes for theme parks. A card reader can read either type of magstripe, and a high-coercivity card writer may write both high and low-coercivity cards (most have two settings, but writing a LoCo card in HiCo may sometimes work), while a low-coercivity card writer may write only low-coercivity cards. In practical terms, usually low coercivity magnetic stripes are a light brown color, and high coercivity stripes are nearly black; exceptions include a proprietary silver-colored formulation on transparent cards. 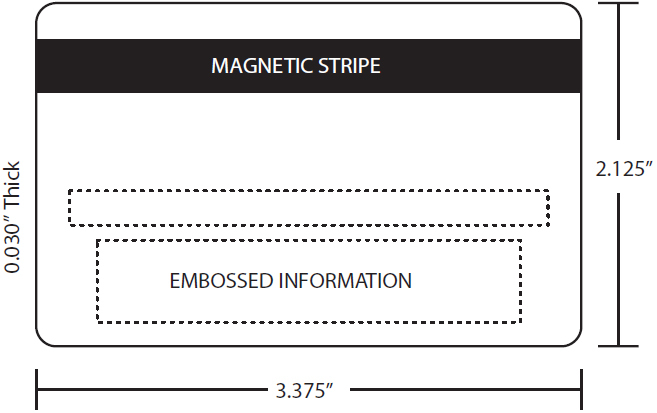 High coercivity stripes are resistant to damage from most magnets likely to be owned by consumers. Low coercivity stripes are easily damaged by even a brief contact with a magnetic purse strap or fastener. Because of this, virtually all bank cards today are encoded on high coercivity stripes despite a slightly higher per-unit cost. ESEnd Sentinel Hex F ? If a custom format is desired, the ISO standard format may be used as a starting point. The standard format can then be modified by assigning different values to any or all of the density, characters and sentinel attributes. (If any of these attributes is missing, its corresponding value in the standard ISO format will be substituted. ).